Warning: there's a Icestorm coming and it's going to be BIG FUN! 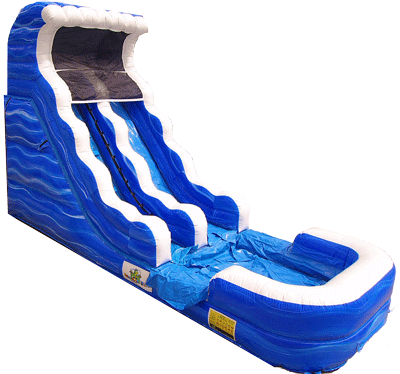 This 18 foot slide sends you straight through the cool and into a massive pool! The weight limit for this jump is 500lbs. This rental's based price is for 6 hours. If additional rental time is needed we do offer overnight rental which is 25% extra.